What are Some Ways to Decrease Launch Costs? 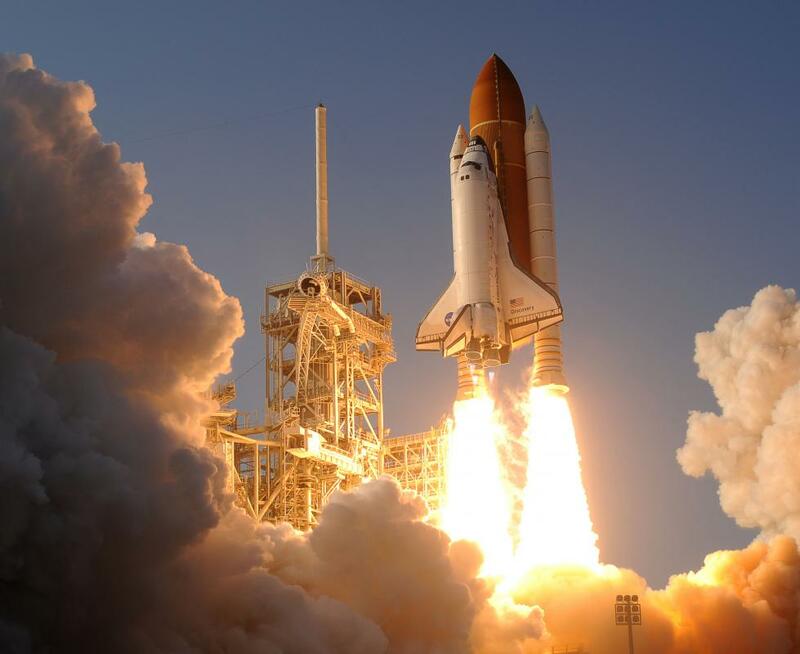 The Space Transportation System, popularly known as the "Space Shuttle", reused orbiters and booster rockets in an attempt to decrease launch costs. 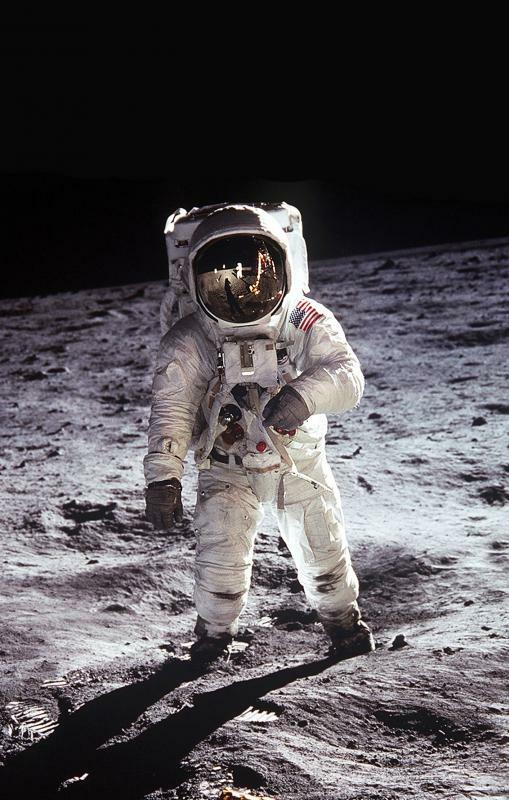 US astronaut Buzz Aldrin walks on the Moon during the Apollo 11 mission in 1969. 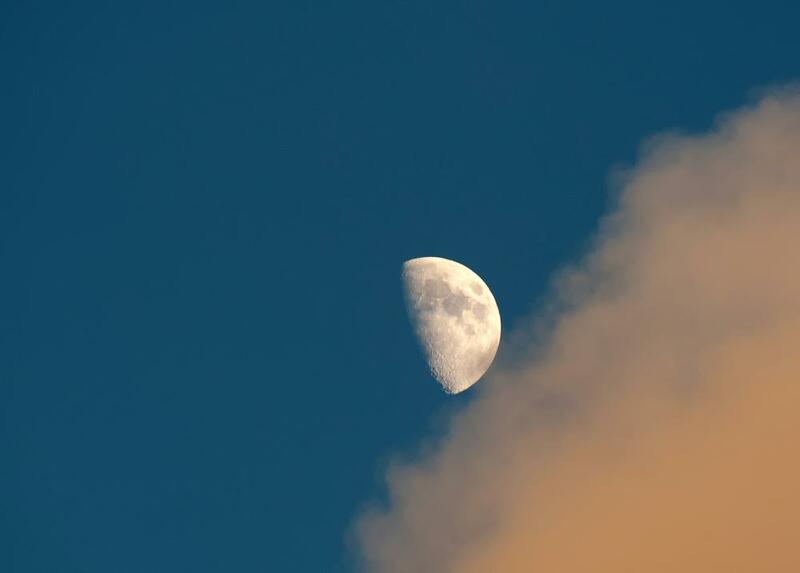 As it has lower surface gravity than Earth, the moon could be used as a staging ground for future low cost deep space missions. A 1,000 lb (450 kg) satellite can cost over $10 million USD to launch. 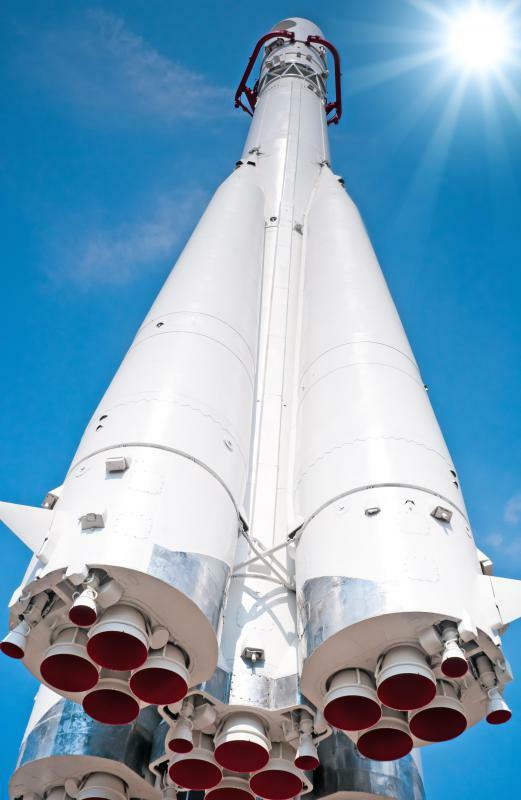 Manufacturing launch systems in large numbers is one way to drive down per unit costs. 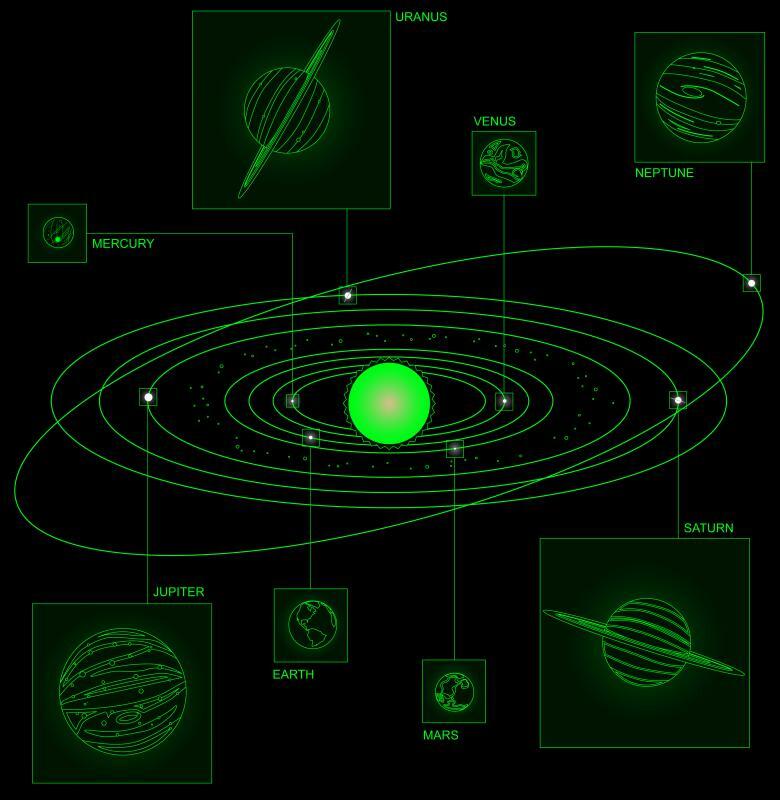 Deep space probes that use "gravity assists", as was done when the Pioneer and Voyager probes passed Jupiter to reach Saturn, can be launched using smaller rockets. Launching into space has always been very expensive. A typical launch cost is $5,000 - $10,000 USD per pound of payload. 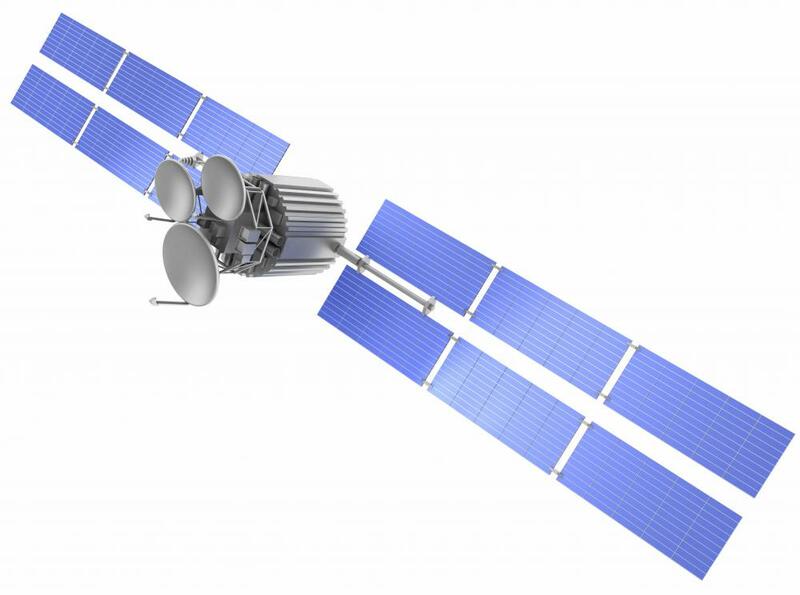 Launching a 1,000 lb (450 kg) satellite can therefore cost upwards of $10 million USD. Ever since we started launching things into space, scientists have been brainstorming ways to lower launch costs to open up this frontier to more companies, governments, and individuals. However, little progress has been made to date. One component of the cost a space launch is the fuel. For every pound of payload launched into low Earth orbit, 25-50 pounds of fuel is required. Typical rockets are fueled by a combination of liquid hydrogen and oxygen, which both must be kept at very low temperatures using many tons of cryogenic cooling equipment. Think of a rocket as a very expensive refrigerator the size of a tall building. To lower launch costs, one approach is to build a bigger rocket. Thanks to economies of scale, bigger rockets tend to cost less per pound than smaller rockets. However, this only goes so far. Larger rockets can reduce the launch cost per pound by a factor of two or three, but not much more than that. The most promising routes to substantially reducing launch cost involve solutions where the payload does not need to bring fuel along with it during the ascent. This is one of the most expensive elements of a conventional rocket launch — a rocket needs to carry enough fuel not just to propel the payload, but also the remaining fuel on the way up. The bottom of the atmosphere is the densest and most costly in terms of energy to navigate through, but this is also where the rocket itself is heaviest, necessitating very large fuel tanks. There are several proposals for fuel-less or low-fuel space launches. One is to use an air-breathing engine (ramjet) for the first stage of ascent, using atmospheric oxygen as an oxidizer rather than on-board oxygen. This was the approach used by SpaceShipOne, the first space ship built by a private company. Another, more futuristic approach would be to construct an electromagnetic accelerator, or railgun, to fire a payload so fast it reaches orbit. Unfortunately, most payloads fired into orbit from a railgun would experience accelerations of at least 100 gravities, enough to kill human beings. Therefore, if an electromagnetic accelerator is built for space launches, it would likely be used only to send up supplies, such as water or steel, rather than astronauts or satellites. An even more futuristic approach to lowering launch cost would be to construct a space elevator, a tether extending from the equator to a counterbalance orbiting 36,371 km (22,600 miles) above the Earth. The only known material strong enough to be used for such an elevator without collapsing under the force of gravity would be carbon nanotubes. Currently, carbon nanotubes cost about $25,000 USD per kilogram, or $25 million USD per tonne. Creating even a seed space elevator would require about 20 tonnes, which at today's prices would cost $500 million USD. This is quite expensive, but the prices for nanotubes are falling, and by many scientists believe constructing a space elevator could be economically feasible by 2020. What Is a Rocket Launcher? How do I Build a Trebuchet?